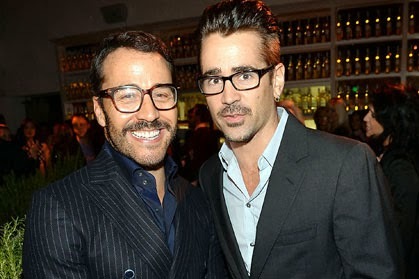 Jeremy Piven (left) and Colin Farrell. Colin Farrell thinks Lindsay Lohan and other unhinged female celebs have been unfairly picked on because they’re women. The formerly wild Farrell has his priorities straight these days – his two young sons are first and foremost – but he has sympathy for the likes of Lohan, whose troubles have been well documented. “There’s an unbelievable hypocrisy going on here,” Farrell told The Irish Times last week. “No matter how bad I was in years gone by, there was always someone who was prepared to cheer me on: ‘That Colin Farrell is a real lad, sure he’s hilarious.’ Nobody cheers for women going a bit mad. Farrell, who has a supporting role in the Tom Hanks film Saving Mr. Banks which debuts just before Christmas, says he has no time for a relationship in his life given that he focuses most of his energy on sons James, 10, and Henry, four. But that doesn’t mean he’s completely celibate, as he, um, delicately explained. And he’s not interested in dating a fellow star.